Caribbean Facial – a little warmth to change your mood and your skin! book yourself a Caribbean experience now! Give us an hour and 15 minutes in our warm bed with, pina colada infused essential oil warming your skin. Add an enzyme mask with papaya, honey and fruit extracts that calms and exfoliates the skin, leaving you with a glowing complexion. Finish with a vitamin C antioxidant mask that smells like fresh squeezed oranges as a bonus!! 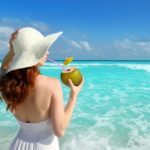 This entry was posted in Reviews and Compliments and tagged boston deals, caribbean, caribbean facial, facial deals, Facial Specials, Papaya, SAVINGS, skincare specials, Stoneham Spas, Vitamin C.